www.champagne-larnaudie-hirault.com is the property of Champagne Larnaudie-Hirault, which reserves all exploitation and distribution rights on the www.champagne-larnaudie-hirault.com website. The website www.champagne-larnaudie-hirault.com is a creation protected by copyright. The texts, drawings, photos, graphics and other elements of this site are protected by copyright. Any copy, adaptation, translation, arrangement, communication to the public, rental and other exploitation, modification of all or part of this site in any form and by any means whatsoever, electronic, mechanical or otherwise, is strictly prohibited unless agreed prior and written. Any violation of these rights may result in civil or criminal prosecution. 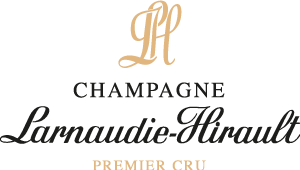 Champagne Larnaudie-Hirault takes the greatest care in creating and updating this site. Champagne Larnaudie-Hirault can not however guarantee the accuracy of the information contained therein. The user is aware that information including products and services offered for sale is subject to change without notice. Champagne Larnaudie-Hirault disclaims all liability for the content of the site and its use. If links are created with other sites, Champagne Larnaudie-Hirault can in no way be held responsible for the content and existence of these other sites. Information collected from individuals through contact form can not be disclosed to persons other than www.champagne-larnaudie-hirault.com. It will be used only in the context for which they are collected. However, as required by the Data Protection Act we inform you that your answers are optional and that the lack of response will not result in any particular consequences. Nevertheless, your answers must be sufficient to allow us to process the information. © Copyrights 2019 CHAMPAGNE LARNAUDIE-HIRAULT. All rights reserved. Legal Notice.